The following piece is being reprinted with permission of Will Bunch. He is the author of The Backlash: Right-wing Radicals, High-Def Hucksters, and Paranoid Politics in the Age of Obama; and an interview with him can be found here. It seems like yesterday that Glenn Beck was the king of all right-wing media -- maybe because it was yesterday, practically. It was just last summer, after all, that Beck graced -- OK, maybe that's not the right word -- the cover of the New York Times Magazine and made national headlines with that big rally on the Lincoln Memorial, a molecule in the giant shadow cast there by Martin Luther King, That was supposed to be the zenith, but I could tell it was the beginning of the end, that Beck was flailing about in search of the next new thing. I saw the vacant stares when Beck proclaimed that his much hyped event had "nothing to do with politics, everything to do with God." There were maybe 100,000 of them, lining the woody banks of the Reflecting Pool, arms folded, watching the planes descend into Reagan National as their leader struggled to hold their attention. Beck was already bleeding TV viewers -- eventually he would lose more than a third of his audience -- and soon came the stunning news that he was getting yanked from the radio airwaves in Philadelphia and New York. And now it's (sort of) over, just like that. Beck's descent was so steep and so fast that yesterday's news that his main platform, his nightly show on Fox News Channel, will end this year, probably this summer, wasn't even that shocking. Beck, whose shtick always remained rooted in his past as a "Morning Zoo" shock jock of the '80s and '90s, could never recreate the "shock" of taking on Barack Obama in early 2009 when that backlash was looking for a spiritual guru. Day after day, his rants grew more frenetic -- insulting all of Reform Judaism one day, outlining a conspiracy to create a Muslim "caliphate" the next, or calling trains yet another government plot to control your life. The crazier that Beck got, the more viewers and advertisers he drove away, until eventually it was too much for his beleaguered bosses at FNC, who may have lost as much as $40 million on the whole fiasco. Liberals, especially those who organized a high successful advertiser boycott of Beck's program, celebrated the news as a victory against political hate speech. But I think that progressives might want to hold off on that victory lap -- unless it's to get in better shape for the long battle ahead. You'll probably hear a lot about how Beck coarsened the political debate and how his words may have incited violence, but I think the wreckage is a lot more substantive, to actual policies that affect Americans every day. You see, there was a reason that Beck was so fond of a political theory calledthe Overton Window-- so enamored, in fact, that he made it the title of his (officially) fictional "thriller" novel last summer. The Overton Window is a notion that you can radically move the parameters of political debate by pushing talk to the outer limits, so that ideas that were once deemed extreme suddenly appeared to be normal. Let's take the example of climate change. There was a time when mainstream Republicans like John McCain, Lindsey Graham and Tim Pawlenty thought that manmade climate change was a real problem and that government had a role in fixing it. 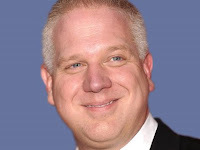 Then Beck and friends on Fox News Channel and talk radio in went to work. Beck's role in all this remarkably cynical, as he told USA Weekend that he personally believed in climate change -- "you'd have to be an idiot not to notice the temperature change," he said -- but said the complete opposite on the air. "Americans know this global warming thing is a scam," he proclaimed on the radio. In 2007, 62 percent of Republicans believed in man-made climate change, but by late last year 53 percent of GOP voters said there is no evidence for it. In Delaware, a band of Beck aficionados called the Delaware 9-12 Patriots played a key role in ending the Senate ambitions and political career of moderate Republican Mike Castle, largely because Castle had voted for the anti-global warming plan known as "cap and trade." Do you think other Republicans took notice of Castle's fate? Last month, the House Energy and Commerce Committee was asked to accept an amendment to a bill confirming that man made climate change is real. The voted among the GOP majority was unanimous -- 31 votes against global warming. But then, Beck has the GOP going off the rails on a crazy train, literally. In other industrialized capitals from Paris and Beijing, high-speed rail is seen as a futuristic way to grow the economy with the kind of a zeal that a very different America once held for its space program. But now the political tide has turned against high-speed rail, with talk radio leading the charge characterized scheduled train service as a form of totalitarianized mind control. Earlier this year, Beck summed up the far-right mantra on trains earlier this year when he said: "The trains run on time and there's a schedule -- and you'll obey us and go where we want." It would be laughable -- except it came just as newly elected Tea-Party-darling governors Scott Walker in Wisconsin, John Kasich in Ohio and Rick Scott in Florida killed high-speed rail projects that would have brought federal dollars, and more importantly jobs, to residents of their recession-battered states. You could go on and on -- the talk-radio jihad against big government that has put gutless Democrats so on the defensive that they no longer fight to protect vital programs but only over whether to agree to "steep" spending cuts or "draconian" ones, or the fear-mongering on terrorism and Gitmothat made quivering members of Congress afraid to house terror suspects in our supermax prisons. Don't think that Beck's nightly burst of insanity didn't have a lot to do with these things, because they did. Don't believe me? Then ask a fellow in South Carolina named Bob Inglis who was a Republican congressman until he told his constituents to "turn off Glenn Beck," and lost a primary to an upstart who got 71 percent of the vote. Why do you think the Republicans in Washington remain in lock step, even as 90 percent of what they stay in lock step for is bat-guano crazy. When people look back on this peculiar time in American history and talk about Glenn Beck, and they will, I'm sure there'll be a lot about all the wacky stuff -- the apocalyptic hyping of "God, gold and guns" and the way out conspiracy theories, the leading edge of the buzzsaw and he moved the Overton Window to the far right corner of our national house divided. I'm more worried about the rising temperatures and sea levels, the falling behind other developing nations like China on everything from infrastructure to alternative energy to education, the repeated blows to America's civil liberties and the destruction of a social safety net it took 75 years to build. The solutions to these problems are out there, but they are stymied by a two-year explosion of madness, the right-wing backlash, which I reported on my book that is called "The Backlash," and it was Glenn Beck that lit the fuse. Yes, his reign on the Fox News Channel may last little more than 27 months. But it may take the rest of us 27 years -- or more -- to undo all of the damage. Now Bill O'Reilly is starting to spout some of the nonsense that Beck spewed. Beck is off his Fox stage soon, but the American people have not heard the last of him.